The open high-field MRT System PANORAMA. 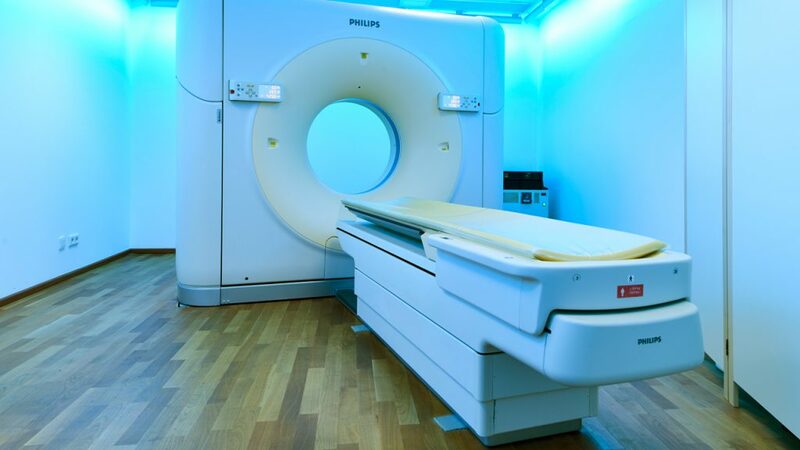 This equipment, which is the first of its kind in the world, has a range of 160 cm with a 360° field of vision for the patient, and produces optimal images. 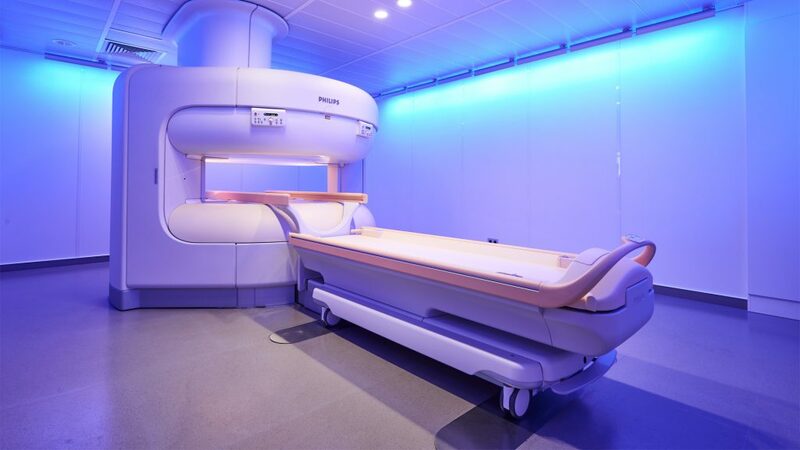 In addition to providing maximum diagnostic precision, the highest-field MRI scanner 3.0 Tesla produces brilliant images without exposing the patient to radiation. Furthermore, spectroscopy is available to produce images of specific tumours (e.g. prostate tumours, breast cancer, brain tumours). Durch die einfühlsame Betreuung habe ich trotz großer Platzangst die Untersuchung geschafft. Danke! The CT scanner “Brilliance 64” guarantees a high level of diagnostic reliability and good quality images which are produced very quickly. Using this equipment, examinations can be carried out extremely quickly and with great precision for the diagnostic investigation of the colon and coronary blood vessels. With the “Step and Shoot” algorithm, the dosage can be reduced by up to 80% when producing images of the heart. At DiVoCare bone density is measured using the most up-to-date DXA technology, the only procedure that is recognised by the WHO. The values measured for the spine and the femoral neck can be ascertained quickly. However the whole body can also be measured. 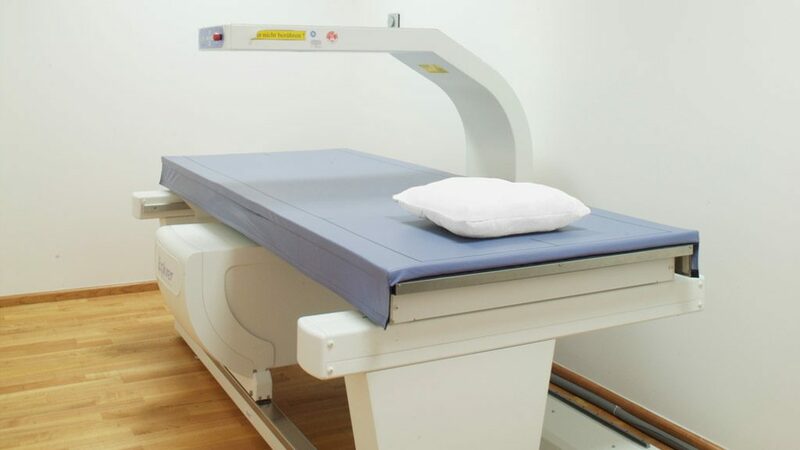 The high-resolution ultrasound scanner “IU22” is used for additional examinations of the female breast, if the tissue is dense from a mammographical point of view. This equipment, with its high-resolution imaging, is also used to examine joints (e.g. babies’ hips) and if medical findings in the abdomen are unclear. It can also be employed to examine the thyroid gland. Ultrasound technology is characterised by the fact that images can be produced without exposing the patient to radiation.